Mary was born March 12, 1980, the second child to Dan and Kathy. She became the younger sister and mentor to Leo-Paul (LP) and the older sister and friend to Tanika. From the very first moment of Mary’s arrival, she touched people’s lives physically and emotionally. At the tender age of 9 months while watching LP work with his speech specialist, she began mimicking the therapist through a two-way mirror. LP laughed at the sound behind the wall and then he too began to make the sounds that the therapist wanted to hear. Physically challenged from birth, LP learned to speak, walk and read following Mary’s lead. When she was four, Mary’s family became a medical foster home for infants born to chemically-addicted parents. She became a voluntary consummate ‘mommy,’ changing diapers, diagnosing bottom rashes, redressing and feeding any baby that needed it. Burping them, burrito-wrapping them and singing them to sleep along with all her dolls and the dogs and the neighbor kids that routinely stopped in. By the time Mary was nine, she was carrying car seats and diaper bags and heading off to another hospital for another baby to bring home. At 13 she met her sister Tanika, weighing only 3 pounds 11 ounces and measuring 14 inches long. Mary would soon call her “my shoe box baby.” Mary would take extra special care of this little bundle for the rest of her life. When she was fourteen Mary was the only person allowed to pick up and hold Tanika’s medically fragile twin sister, Tanisha. Tanisha lived in an infant hospice foster home and shortly after her visit with Tanika and Mary, Jesus moved Tanisha home. Mary held Tanika close to her for a very long time. She loved Jesus but she wasn’t ready to let Tanika follow Tanisha’s lead. 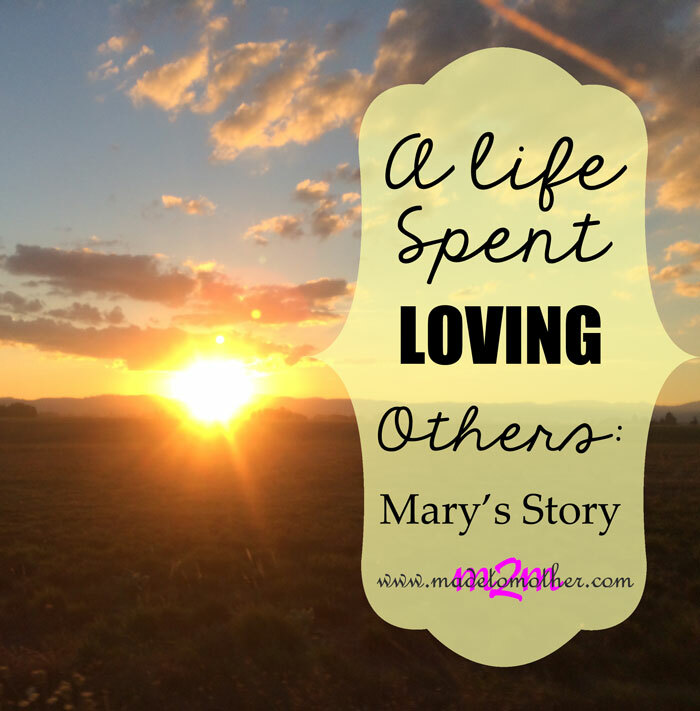 At 16 years old, Mary’s parents divorced, but that did not hinder her spirit. She was a cheerleader to all around her. She coaxed, prodded, pulled and harangued many people out of some of life’s deepest ruts. Two years later, in 1998 at the age of 18, she started doing foster care on her own while attending nursing school and became one of the youngest licensed foster parents in the state of Oregon. Over the next thirteen years, she would become a caregiver to more than forty children but ‘momma’ to only thirteen very especially loved babies of all ethnicities and all manner of health and drug-related problems. Her heart was always ready to love just one more little one. She was an encourager, inspiring babies who could not feel, to live and learn how to love. God blessed Mary with the gift to love those among us who are difficult to love. After receiving her RN license, she continued doing foster care and began caring for the elderly and mentally challenged as well; the population pushed away from society. While physically caring for her patients, she also prayed mightily over them. She encouraged them and listened to their life stories. Every life mattered to the Lord and she wanted even those lost within themselves to understand how important they were to Jesus. She sang daily their heart-songs to Jesus. God also blessed Mary with the gift to share Jesus with anyone needing to know Him prior to their earthly departure. One woman that Mary became especially close with asked her to pray that God would take pity on her and allow her a small place in Heaven. Mary assured her that Jesus already had her mansion built and that He was just waiting to bring her home. That evening, Mary’s friend moved into her mansion built with Jesus’ own hands. Woefully, Mary had her own health problems. For years she had suffered from genetic endometriosis and ovarian cysts and the doctors had told her she would never be able to conceive her own baby. But when she had a miscarriage early on in her marriage, she was devastated. Not long after, in 2003, at only 23 years old, she was diagnosed with HPV and had to have a complete emergency hysterectomy. They would have never found out about the cancer if it wasn’t for that precious, lost baby. Mary had also contracted a rare strand of bacteria during her second year of nursing school, which began to attack her vital organs causing sustained damage. The mounting health problems forced her to give up working as an RN. However, Mary’s joy and enthusiasm for helping others did not end, and so she worked more creatively at being a better foster mom to medically fragile infants. Her patience was limitless and her zeal for life inspirational. In December of 2004 Mary picked up a two-day-old boy, Baby “J,” from the hospital with the intent to adopt. He was a drug baby, so she knew he would suffer from many developmental issues and probably have to have years of therapy and special education. Mary took it all in stride. She loved him as if he were her own flesh and blood. Two years later and two weeks away from signing Baby “J’s” adoption finalization papers, Mary’s husband abandoned them. After that, the state determined that as a single parent she could not adopt any child, but as a top-notch foster parent she would be allowed to keep “J” in her home as a foster child until he reached the legal age of eighteen years old. If he were allowed to stay in one foster home for seven years, permanency might be ensured. Her hope fervently changed to emergent prayers. Mary kept and raised her boy and for the next four years he called her his momma and she called him her son. In fact, one time in mental health therapy, “J” was told that Mary was not the mom that carried him in her tummy, but he didn’t like that. He told Mary later that it made him mad at God because he loved her and wanted to have come from her tummy! Mary reassured him that she loved him with all her heart and that she couldn’t love him more if he had come from her tummy. Mary did not foster any more children after “J” was adopted and her health began to quickly fail. She was devastated and heartbroken on the inside, and even though she knew that “J” was where God wanted him to be and the family was a good match for him, she confided in her mom quietly that she felt her life was over. She had no energy to date again or make many friends and she was lonely. What she didn’t realize is that through the thousands of people that she touched, she had more friends than many people would gain in a lifetime. Mary’s heart-warming spirit encouraged veterans, the disabled, first responders, medical personnel on all levels, patients waiting for care, patients exiting care, surviving family members of newly departed loved ones and people from sea to shining sea. But she still prayed daily that God would send her a good friend and He answered that many times over as she rekindled old friendships through the internet. Mary’s health continued to deteriorate with each passing week. The bacteria had compromised her entire immune system. She developed Crohn’s and Sweet’s syndrome in her GI tract and pseudo tumor cerebrii in her brain which began multiple types of seizures. By the middle of 2013, Mary’s lungs weakened to the point where she was getting pneumonia ever couple of months and her kidneys were functioning only at a 20-30% rate. 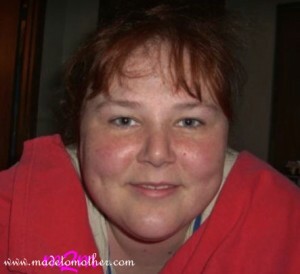 Her liver, pancreas, gall bladder and spleen were enlarged and she could not stop vomiting. The doctors could not seem to diagnose her worsening condition. The disease continuously ravaged her already scarred young body over the years, requiring multiple hospital stays, serious surgeries and demanding test after test after test. Her struggles were grueling to say the least, but her words were always uplifting for those around her. She would pray for the first responders that were urgently called to her home. She would pray for her family, hoping they would forgive her this ‘one last time’ for making them rush her to the ER when her heart wouldn’t stop hurting. She prayed for the nurses, doctors and technicians and that their jobs would be a little less ‘crazy because of her illness this time.’ She talked to God all the time. In mid-November of 2013, she was finally diagnosed with Atrial Septal Defect (a hole in her heart) and while she awaited more testing and the possibility of another surgery, Mary was near bedridden and had to have daily supplements of IV fluids and oxygen. She insisted on staying in the comfort of her own home, demanding that she not return to the hospital. Her family knew that under no circumstances were any resuscitation methods to be made if she slipped quietly away from them. On November 17, 2013 at 12:33 p.m., Mary, our daughter, sister, family member and friend solidly grasped Jesus’ hand and walked Heaven’s distant road home. She left a legacy reflective of a life filled with love for the Lord, a willingness to help no matter the chores because it meant doing ‘as Jesus would do if He were here.’ She left memories of her ability to laugh loudly, heartily and unashamedly. She left memories of her skill to sing off key, on key, or just forget the key and sing out loudly. And, she left us with the memory of her smile; her bright, enthusiastic, encouraging, dreamy and ‘you’ve-got-to-be-kidding-me’ smiles. Mary believed smiling broke through armored, tough exteriors and she proved that action correct more times than not. How can you not smile when twin dimples and blue eyes are flashing at you? Mary grew to become the woman Jesus wanted her to be. Her life lesson is twofold. First, her pain-filled illness was God’s rendering of Mary as a Masterpiece. The pain drove Mary into His open, embracing arms. He nestled her there, spoke loving kindness and mercy over her there, healed her a bit and returned her back to us. He honed her as only the Maker can. And secondly, her mother’s heart loved first her babies, but also that same heart loved the disabled, the hard-wrought, the lost and the found. Her mother’s heart beat with life for all connecting with her. Be rendered to God. Connect love with others’ heart beats. Mary is whole, healthy and perfect in eternity. She is in heaven holding her angel babies and every other angel child up there. She is singing praises with the saints and dancing with her Savior. Her amazing, selfless personality is there blessing everyone in the next life. And we, her family and friends still on earth, rejoice in the fact that we will one day see her face again. She will be there by Jesus’ side as one of the first to welcome us when we journey home as well. In loving memory of Mary Jo Lippincott, March 12, 1980 – November 17, 2013. This is a beautiful tribute to very giving commpassionate woman. Thank you for sharing. Thank you for stopping by M2M and honoring Mary’s memory! What an amazing testimony of a servant’s heart! Thank you for sharing this beautiful story! What a beautiful story Wynter! 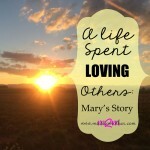 Mary knew how to live life even when she was very sick. Her legacy is a testament to the amazing way she persevered and loved while she was living. Blessed you shared this at The Weekend Brew. What a lovely woman. Thanks for linking. This is amazing. She was amazing and the more I read the more I wished I had known her. Thank you for sharing. Beautiful memorial to a special lady. Thank you for sharing at the Thursday Favorite Things Blog Hop! Such a beautiful testimony of a life lived for God. Such a hope-filled and encouraging post. Hi Wynter. Thanks for linking all of these heart felt stories up at the Thoughtful Spot!